However this area has a history YOU should know about. 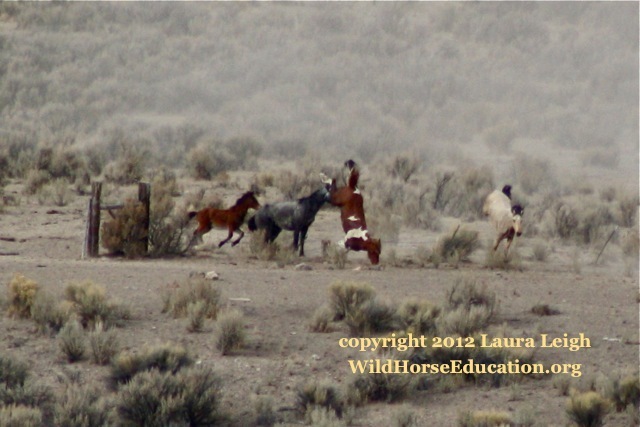 A summer roundup in 2011 gathered more than wild horses for the BLM. 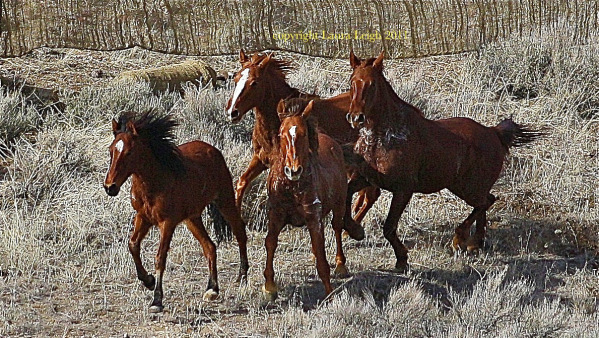 It earned them the first court orders in history against the inhumane treatment of wild horses. A grueling 5 week long roundup had WHE’s Laura Leigh onsite documenting the treatment of wild horses. Documentation showed multiple instances of inappropriate conduct. The tension continued to increase. In August a horse was hit with the skids of the chopper to keep it moving. Leigh took her documentation into federal court. The court granted a Temporary Restraining Order against pilot conduct citing BLM justification as a “blame the horse affront.” The Judge further stated that he could “see with his own eyes” what had happened in the footage shown to the court. The roundup stopped. Later, due to another win in federal court by Leigh, the end of operations did not make the matter “moot,” meaning BLM could not get the case dismissed claiming the discussion was over as the working documents, and BLM claiming the area was still over AML, made the discussion still one for the courts. At that time he granted a Preliminary Injunction to operations, the first in history to inappropriate conduct. Since that time BLM has been working on what they call a “Comprehensive Animal Welfare Plan,” or CAWP. CAWP has created studies and grants and… multiple promises of a policy that will become a reality. We have every expectation to see a version of CAWP come into effect very soon. However to date, BLM has had multiple meetings on helicopter use with NO changes to any operating procedures. The “SOS” (same old s___) “SOP’s” (Standard Operating Procedures) are still attached to all documents pertaining to removals. Caring humanely for wild horses and burros is not rocket science. 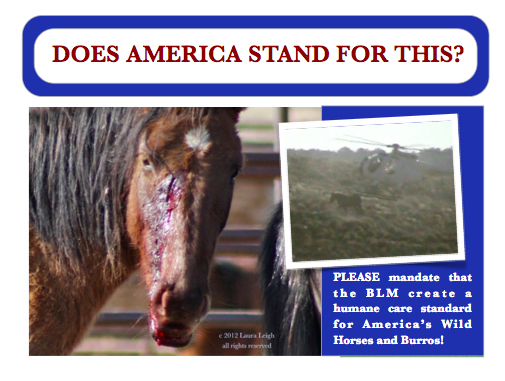 BEFORE another federally protected wild horse is driven into a trap by helicopter BLM MUST create a POLICY that protects them. 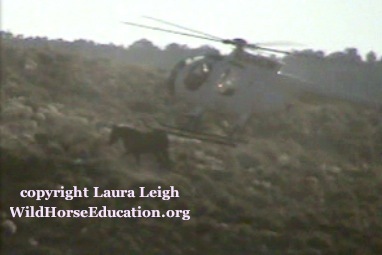 IN light of the history of current practices “gathering” BLM multiple court orders and stopping operations on the ground, that result in huge expenses and continued inappropriate actions to wild horses, it is irresponsible to continue to allow any operation to occur in the “we have always done it this way” protocol in place. UPDATED: A policy is going to be announced soon and be in the new contracts.